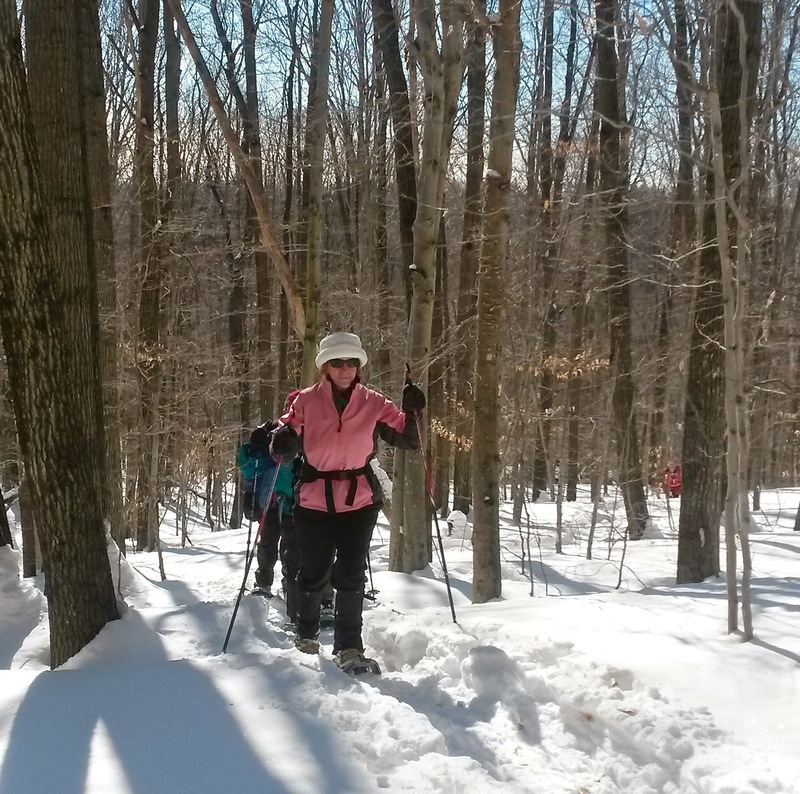 It's been so cold lately that I was happy we had a sunny, and almost warm, window of time for a snowshoe hike at Basin Pond on Tuesday. We took the upper trail loop and the side trail to the wooden deck overlooking the former pond, returning by the lower loop trail, about 3 miles. 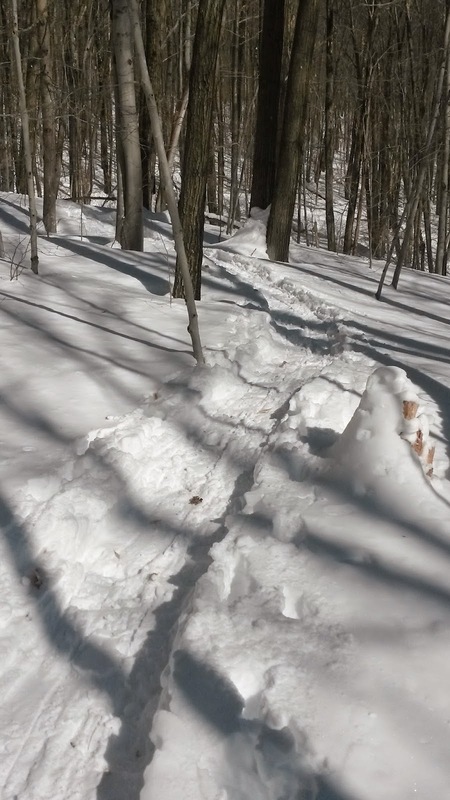 This is a 296-acre Berkshire Natural Resources Council property. The snow was 2-3 feet deep so most of the rocks were covered except for the huge boulders which stood out in the snow. 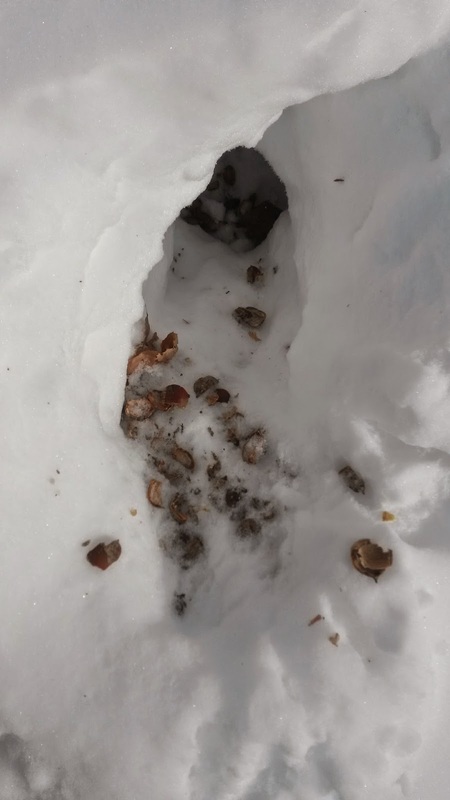 Although the woods was quiet to us, we saw lots of evidence, in the form of tracks, that proved many animals had been out and about recently. The only birds we heard were chickadees. 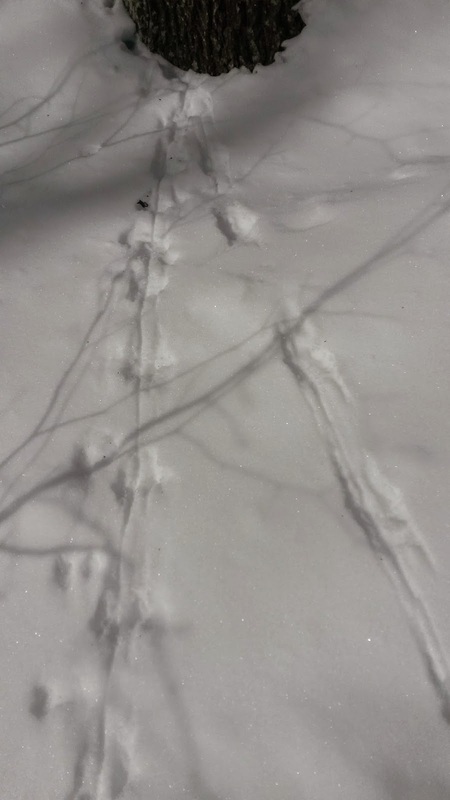 Most likely long-tailed shrews made these tracks. 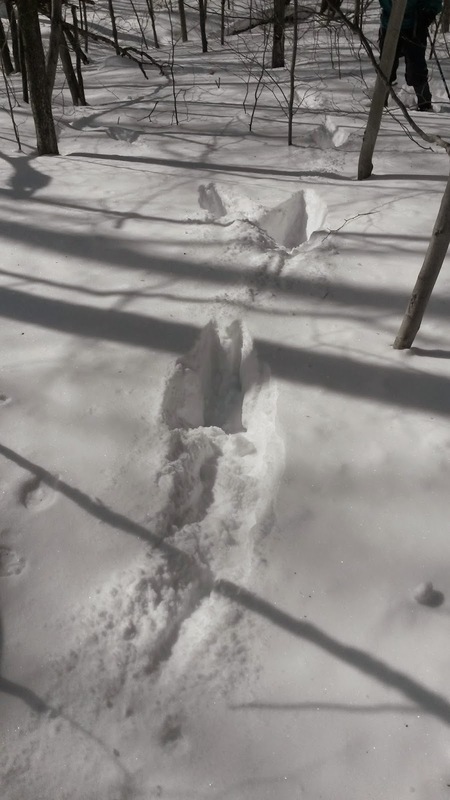 A deer leaped through the deep snow. 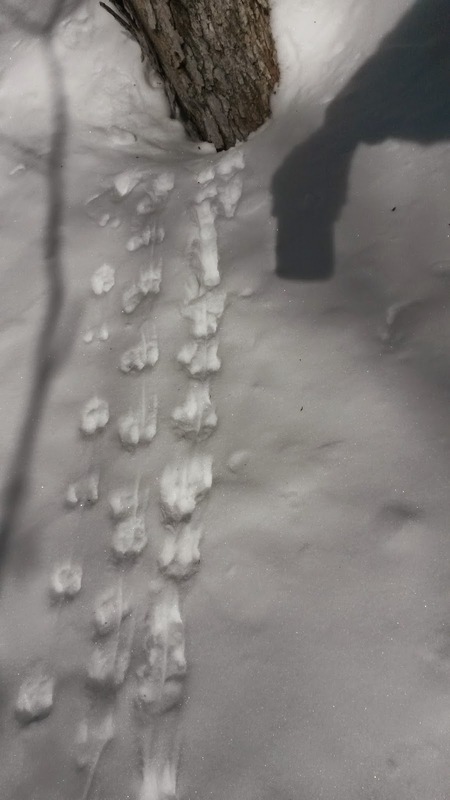 These could be red squirrel tracks. It was a wonderful day to be out for a few hours!